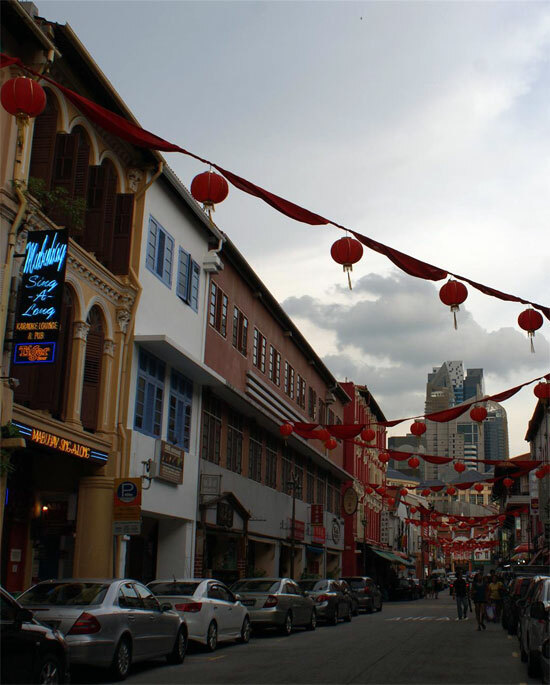 If cheap and central are your main requirements for a hostel in Singapore, the Backpackers’ Inn Chinatown should be on your shortlist. With online booking rates starting from as low as S$18/night in the large dorm, this is as big of a bargain you’re going to find in Singapore, but be warned, you get what you pay for. Feel free to stay awhile. The Backpackers’ Inn has been around for a while, initially over a grungy karaoke bar, and then, over time, it has expanded into a bigger quarters overlooking Upper Cross Street that’s cleaner, less noisy and very close to the Chinatown SMRT station. The reception -- one of Singapore’s most cramped -- remains on Mosque Street. While many hostels in the Chinatown area have gone for a boutique style (with prices to match), the Backpackers’ Inn has kept the set-up cheap and simple. The lowest rate will get you a spot in the main dorm, which has bunkbeds jammed in at every angle to get the occupancy up to 14 people in a tiny cramped areas -- this is where you’ll end up on the $18 online deals. On the positive, it’s well air-conditioned and a locker is provided for each person. If you’re the type who values a bit more space and privacy, it is absolutely worth the small upgrade to the four-bed or six-bed dorm. Bathrooms are shared -- this was the only place we saw in all of Singapore that still has a squat loo (there’s also a western style toilet). The Backpackers’ Inn also offers some of the city’s better value private rooms for those who don’t mind sharing a bathroom. Prices range from S$65-90 per night with something to suit all travellers including a double room (one big bed), twin room (with bunk beds) or triple room (three single beds or one double bed and one single bed). Groups of four also have the option of having a whole four-bed dorm room to themselves for S$120/night. The hostel is family-friendly and welcomes children over the age of three. The Backpackers’ Inn also offers all the facilities you need to stay on budget while you travel including WiFi, guest computers and laundry facilities – even soap is provided. No durian is permitted (in case you were wondering). Rates include clean linens as well as the use of a towel, something that some Singapore hostels charge an extra couple dollars for. If you need long-term accommodation in Singapore, you’ll be happy to hear that they also offer weekly rates starting from S$150. These nearby streets are great for exploring. 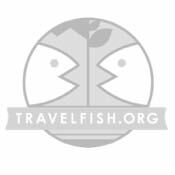 While it’s certainly not the poshest hostel in Chinatown (for that we suggest the Adler Hostel or Wink Hostel, both of which are minutes away on foot), we found the Backpackers Inn to be decently clean and with competent staff. The location also makes an unbeatable base for exploring Singapore with hawker centres, street markets, temples, museums and the MRT all within walking distance. If you’re simply looking for a clean, air-conditioned place to sleep and shower, and you don’t mind the cramped setting, you’ll be ok happy here. 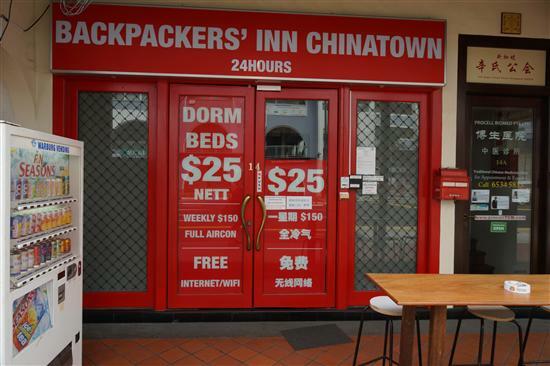 Check rates at Backpackers' Inn Chinatown on Booking.com. Room: Dorm air-con, low season: S$25, high season S$25. Notes: Open mixed dorm.